Footage from body-worn cameras (BWCs) is sometimes used to assess the quality of police interventions. This study investigates whether there is a “body-worn camera perspective bias,” in which the point of view provided by the footage influences perception of an intervention. Participants with different backgrounds (undergraduate students and police candidates) were randomly allocated to a group that looked at one of two videos showing a fictional police intervention during which lethal force was used against a subject; both videos showed exactly the same intervention, but one had been filmed with a BWC and the other with a surveillance camera installed in a top corner of the room. Participants were then asked to rate the appropriateness of the intervention. No camera perspective bias was found among university respondents. However a significant camera perspective bias was found among police candidates: respondents’ opinions on the appropriateness of the intervention were significantly different when the film was from the body-worn camera than when it was seen from the surveillance camera. This result may be explained by the finding that viewers of the BWC footage reported that the subject was further from the officer. 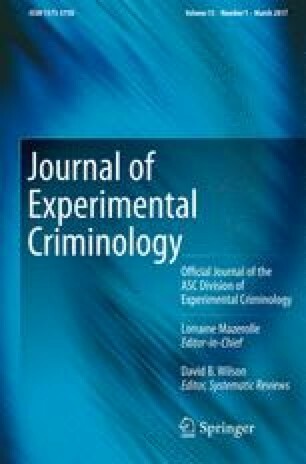 Results suggest that the more training individuals have in analyzing police interventions, the more affected they will be by the camera perspective in these interventions. One implication of these results is that the perspective of people assigned and trained to evaluate the appropriateness of an intervention (e.g., members of a committee monitoring police misconduct) might be biased if only video footage from a BWC is presented. This work was supported by the Social Sciences and Humanities Research Council (Canada) under Grant 430-2014-0213. The authors would like to thank Maude Paquet, Chloé Leclerc, and Jean-François Vandry for their comments on a preliminary version, as well as Joan McGilvray for her careful copyediting. Tueller, D. [2004 (1983)]. How close is too close? Retrieved February 4, 2016, from http://www.theppsc.org/Staff_Views/Tueller/How.Close.htm.